Let me start off by saying I am NOT a quilter, I would love to be, but I'm not. Ever start a project for one thing and then it turned into another and another. Well that's how this one went. My friend, Jessica Sporn, started co-hosting a new challenge on the Artist's in Blogland Blog called Color This Quote. 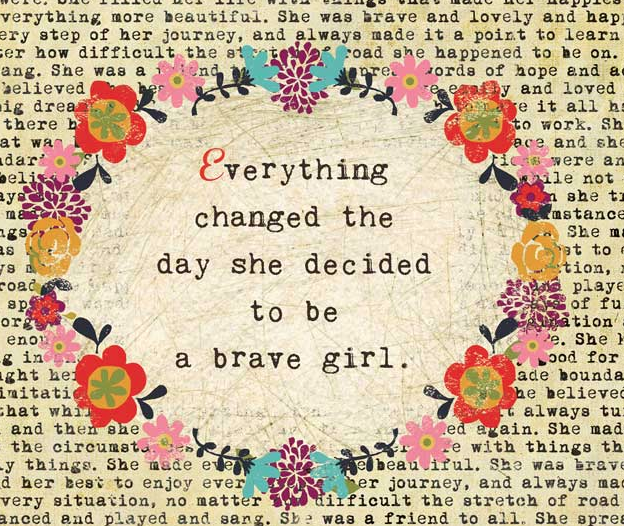 I love quotes! Why not play...and I did. 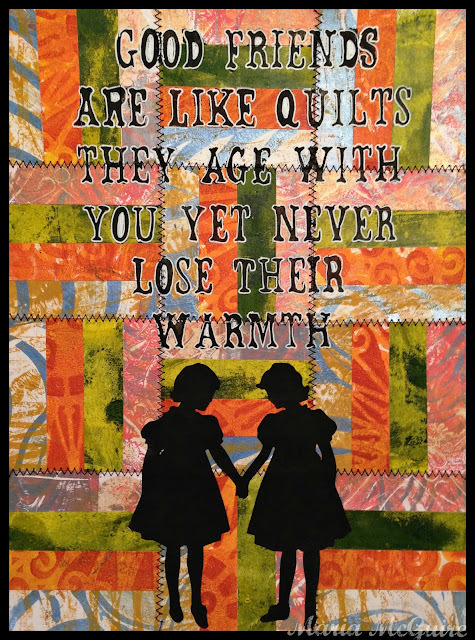 The quote this time was about friends and quilts....my mind got working and I couldn't stop thinking about it for some reason. So that is how this background came alive. 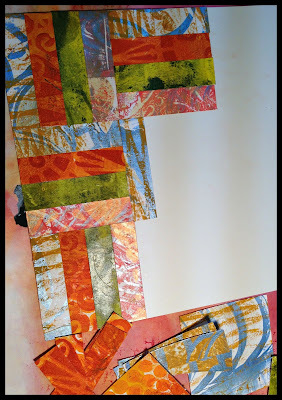 I used pieces of papers I had printed on my Gelli Plate and quilted them. FUN! And perfect way to use all those prints I have been making! I see many more quilt patterns in my future. After I had the background it was easy to finish. Simple and I loved it! which she is going to have EVERY month now and thought this would be perfect for that too. I'm sure lots of people are looking for ways to use their prints. So it ends up that this finished piece will be going to see both my friends, Jessica and Carolyn! Now it's your turn to play with us. 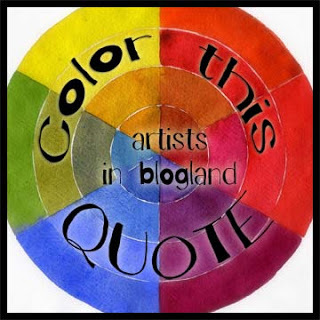 Please go HERE to find out how to participate in the Artists in Blogland Challenge and HERE to go to Carolyn's Gelli Plate Party! How beautiful!! 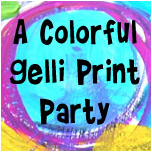 I have been thinking about the Gelli Plate and how awesome it would be to have. Oh- the quote with that quilted background!!! 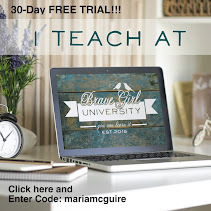 The patterns you created with your prints- so eye catching!! What a way to get the party started! What a great, great idea. I LOVE your quilt. And the silhouettes of the friends -- so precious. 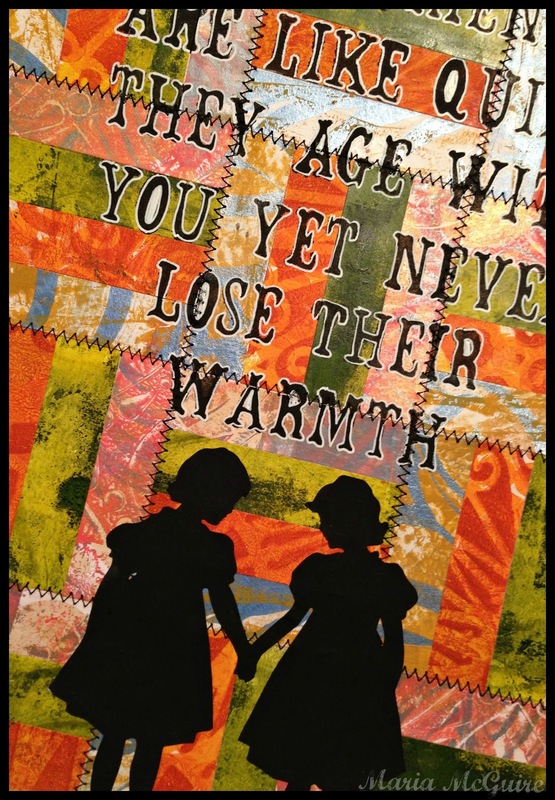 Beautiful way to illustrate the quote and I'm so happy we're at the gelli plate party together! What a splendid idea! Love this page. Wow! What an awesome idea. Love your quilt, Maria! This is really beautiful! 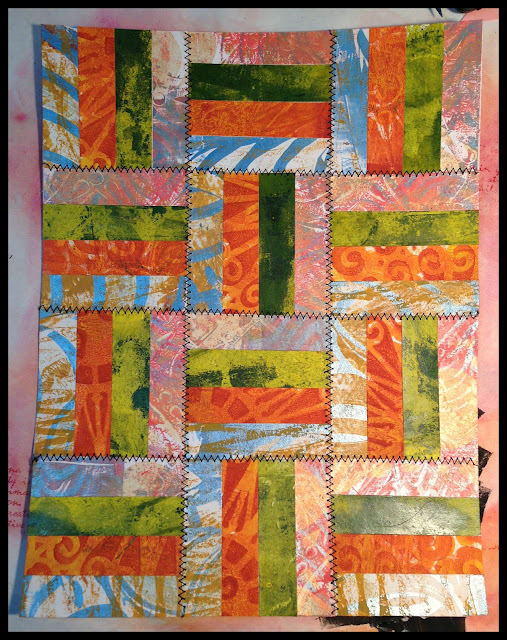 I love the quilted look with the Gelli plate pieces! Love your paper quilt! That was my original idea but then found a sheet that looked quilted. Love the silhoettes as well! What a great idea! Your prints looks beautiful quilted. I know that I won't quilt, but I think a similar effect could be achieved with collage. Anyway, nice work!! I made my first gelli print because of your pretty quote, thanks for the fun and sharing. I really love how you've quilted those papers together. I'm always looking for ideas of what to do with all my odd bits of paper. Great! How stunning is this! Amazing work love it! What a stunning piece of work - it is quite beautiful. I love the colour scheme and the silhouettes are just perfect for the theme - wonderful.